The St. John’s College Career Services Office in Annapolis works with current students and alumni, providing resources and support for all aspects of the career and job search, from initial exploration through later career changes. An important part of the process is individual, personalized career counseling. The director and internship coordinator meet with students and alumni for conversations about both broad issues and specific needs, including pre-med and pre-law counseling, application strategies for graduate programs, internships, scholarships and jobs, research into potential fields of endeavor, and all aspects of beginning or changing careers. The office accepts walk-in appointments during regular business hours. You may also contact Kathleen Cady at kathleen.cady(at)sjc.edu to arrange an appointment time with either the director or the program manager. The office can also connect students and alumni with alumni mentors in a variety of professional fields, and often hosts forums to bring alumni back to campus to talk about their experiences after graduating from St. John’s. 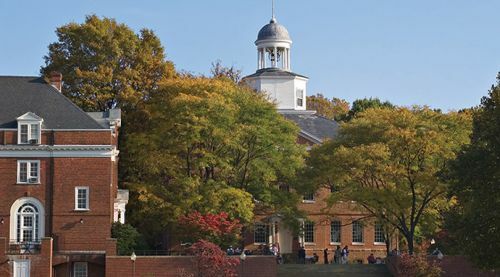 The Career Services Office in Annapolis holds events for and with current students and alumni, providing resources and support for all aspects of the career and job search, from initial exploration through later career changes. These events provide students and alumni the opportunity to learn and do research into potential fields of endeavor, and all aspects of beginning or changing careers. We also host forums to bring alumni back to campus to talk about their experiences after graduating from St. John’s. See Career Services events on the Annapolis Community Calendar. Students: Check your St. John’s email for updates. Like us on Facebook for job updates and career-related information! Add your St. John's education to your LinkedIn profile by clicking on the button below. Adding St. John's College to your profile makes you a member of the colleges LinkedIn community.